Years ago, salon equipments used to be simple and compact. Nail station was just a simple table with a smooth surface and four wheels for mobility, and a pedicure spa was just a large bowl or a foot tub along with a comfortable chair. 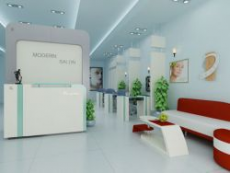 Since then, salon equipments have fast forwarded to the modern day where contemporary & elegant designs meet the latest technologies, and LC CORP have always been a leader of this revolution. LC Corp – A Florida based company, proudly introduce our luxurious collections of salon furniture and pedicure spa. While salon furniture and pedi spa are essential equipments, yet they do not have to be plain and simple, and LC can help you make the difference. Please contact our authorized dealer in your area for more information. Copyright	local seo services 2013. LC Corp. All Right Reserver.